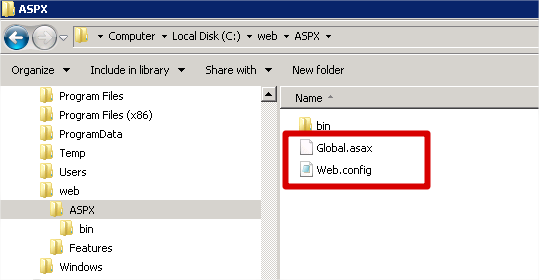 ASPX deployment was introduced in IntraWeb XIV and allows you to deploy your application as a ASP.NET application. Your application is still Delphi, 100% Delphi native code, but there is a ASP.NET wrapper between IIS and your IntraWeb library. This tutorial was created using Windows 2008 R2 Server. Windows 7 and Windows 2012 have similar procedures. 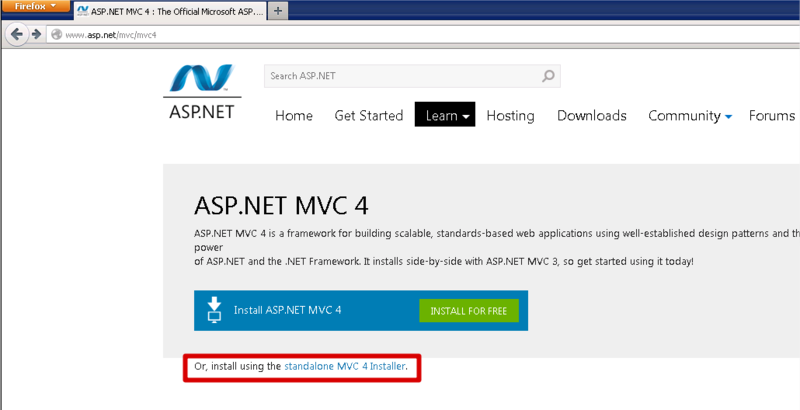 Choose to install using "standalone MVC 4 Installer" and not the web installer. After installing both packages, please reboot your Windows Server. 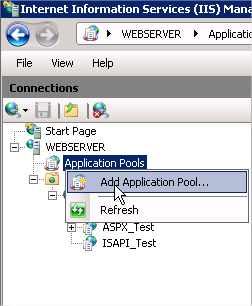 4.1.2) Select "Application Pools", right-click it and choose "Add Application Pool...". 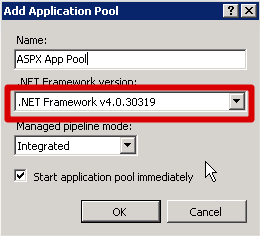 4.1.3) Configure basic settings for the new application pool. You can name it with any name you want. 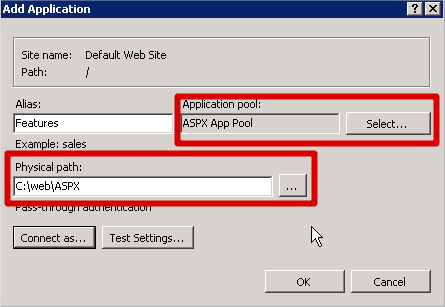 We will name it "ASPX App Pool" in this tutorial. 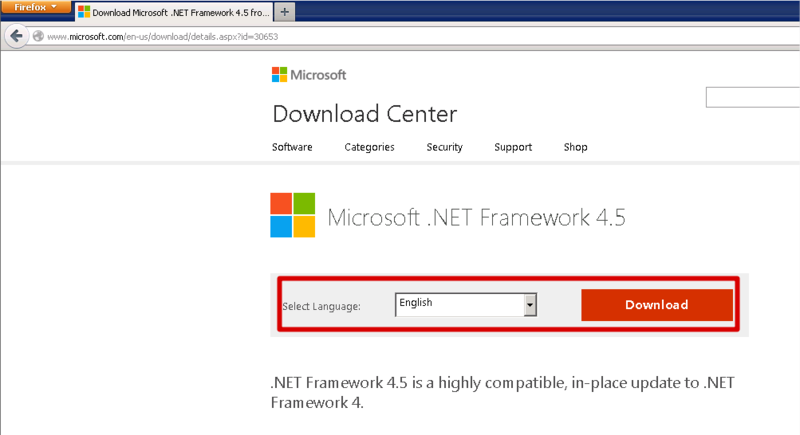 Please note the .NET framework version used. iii) Identity: domain user as the application pool identity, in the form domain\user name. 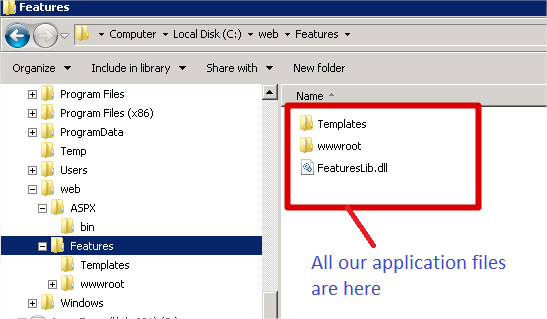 Now that we already have a new application pool, we are ready to create the web application in IIS. 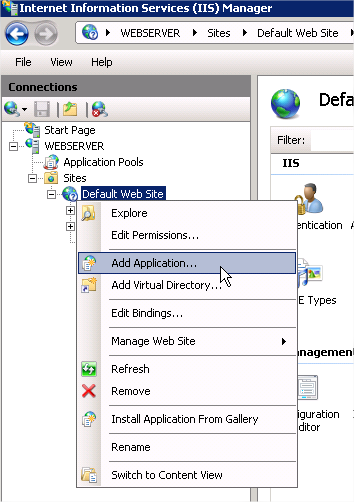 4.2.1) Select "Default Web Site", right-click it and choose "Add Application...". 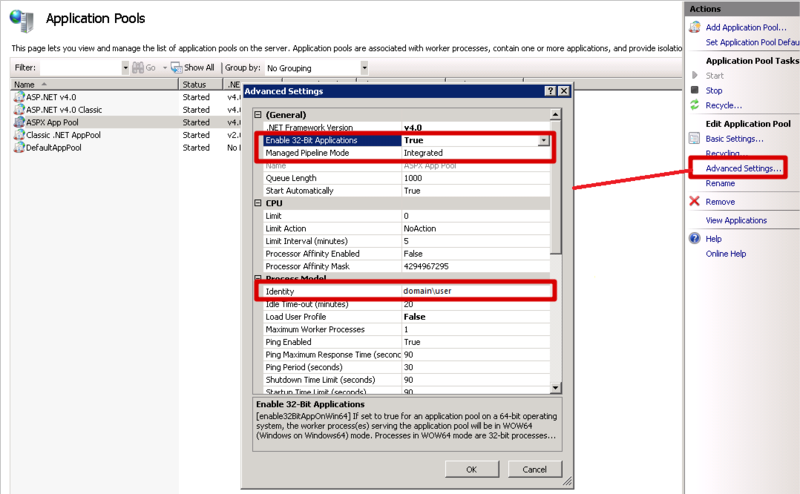 4.2.2) Configure the new application. 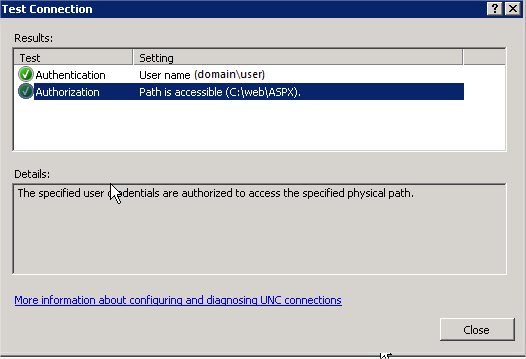 Give a name for the application (remember that this name is part of the URL of the application), select the correct application pool and set the physical path to the ASPX directory (created on section 3.1 above). Also you should set the itentity used by your application, clicking "Connect as..." and then clicking on "Test settings..." button to check if it was successful. 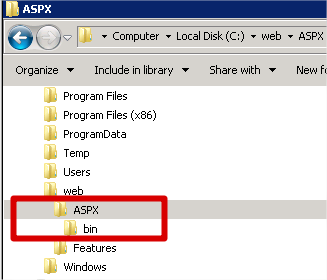 The user MUST have reading NTFS permissions in both ASPX and Features directories (in our sample). Note that there is no FeaturesLib.dll at the end of the URL like when you deploy an ISAPI application. It works!